(CN) — Environmental groups claim the Environmental Protection Agency violated federal rules by scrapping a plan that forces Texas coal-fired power plants to install pollution-control equipment, and replacing it with a cap-and-trade program that lets the plants emit more toxins than they did in 2016. The Sierra Club, the Environmental Defense Fund and National Parks Association sued the EPA on Friday in the Fifth Circuit Court of Appeals, challenging the EPA’s new Texas Regional Haze Plan. The battle over Texas air pollution has been raging for a decade, since Texas missed a 2007 deadline imposed by Congress to submit a haze-reduction plan as part of the EPA’s Regional Haze Rule. The rule requires state and federal agencies to collaborate to reduce pollution from power plants to improve visibility in national parks and wilderness areas. Coal-fired power plants emit sulfur dioxide that forms haze. Texas has more than a dozen of them, with the capacity to generate 19,000 megawatts of electricity. The EPA and the Sierra Club were of a like mind during the tenure of President Barack Obama — who tried to make the U.S. a leader in the global fight against climate change. 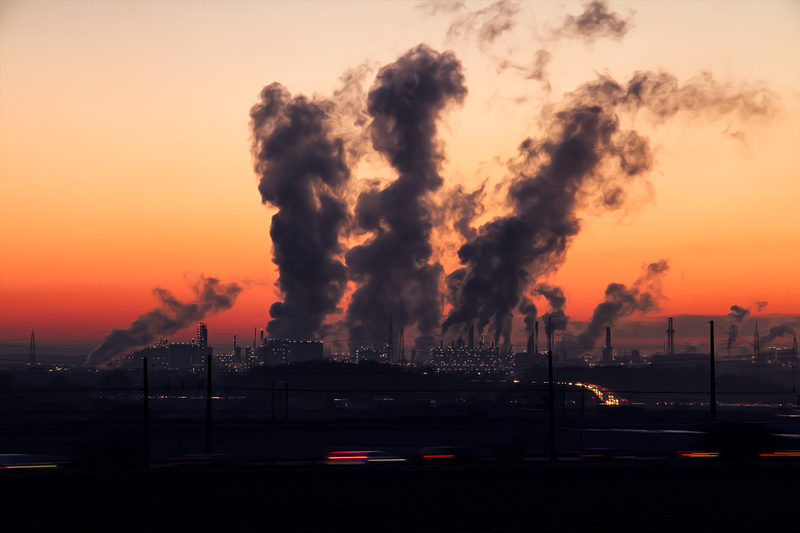 They agreed that Texas coal-fired power plants need to install pollution-control equipment, called scrubbers, to reduce sulfur dioxide emissions. But Texas and plant operators got the Fifth Circuit to stay a Texas haze plan the EPA approved in January 2016, claiming the rule would have required $2 billion in plant upgrades, which some operators would find too expensive, and would shut down, making the state’s power grid less reliable. The EPA decided to work out a compromise plan and unveiled a new rule in January that also called for scrubbers to be installed at the Texas plants targeted by the regulations. But the EPA has changed course under President Donald Trump, who promised to revive the ailing coal industry, and put climate-change skeptic Scott Pruitt in charge of the EPA. Pruitt’s EPA endorsed Texas’s proposal for an intrastate cap-and-trade program rather than power plant upgrades, and put the program in a Texas haze plan rule it published in the Federal Register on Oct. 17. It took effect Nov. 16. The Sierra Club says the new EPA rule is an end run around the mandatory public comment requirement for new federal regulations, that the EPA gave the public no chance to weigh in on the cap-and-trade program during the comment period for the January 2017 rule, which closed May 5, because the program was not in that proposed rule. “The intrastate trading scheme was not mentioned at all in the January 2017 proposed rule … and EPA did not even suggest that it was considering such a scheme,” the Sierra Club said in a petition for consideration it filed on Friday with its lawsuit. The Sierra Club also claims that a consent decree in a federal lawsuit it brought against the EPA in 2011 in District of Columbia Federal Court — after the EPA missed a Jan. 15, 2011 deadline to roll out a plan to clean up Texas power-plant pollution — calls for a comment period before the EPA signs a final rule. The Sierra Club says it brought the Fifth Circuit challenge out of an “abundance of caution” in case the D.C. Federal Court denies its petition to enforce the consent decree. The EPA responded in an Oct. 25 opposition that district courts do not have jurisdiction under the Clean Air Act to “determine if EPA’s final action was lawful” — that only federal appellate courts do. The petition for reconsideration claims that the cap-and-trade program would let the Texas power plants subject to the haze regulations emit 34 percent more pollutants than they did in 2016 — an extra 74,813 tons of toxins. “Under the trading program, the maximum annual allowances are 293,104 tons, and actual emissions in 2016 were 218,291 tons,” the petition states. The Sierra Club calls the new EPA rules a gift for Texas plants that ignores years of EPA work. “When Scott Pruitt scrapped the previous, strong proposal to clean up haze pollution from Texas coal plants, he turned his back on the thorough technical analysis of career EPA staff and deferred to the coal industry’s wishes instead,” Sierra Club attorney Elena Saxonhouse said in a statement. Saxonhouse told Courthouse News in September that cap-and-trade programs do not affect where pollution is reduced. “The upshot is that one part of the state could see some cleanup while others still bear the brunt of the pollution,” she said. The EPA could not be reached for comment on the lawsuit over the weekend. Market forces are working against coal power plant operators even as the Trump administration razes environmental regulations for them. Vistra Energy, Texas’s largest energy producer, is closing three coal-fired plants in January and laying off 800 workers. New natural gas power plants are coming online in Texas to take advantage of cleaner, abundant and cheap natural gas tapped by increasingly efficient drillers, and Texas has become the country’s largest producer of wind energy, according to Energy Times. These developments have reduced the wholesale price of energy. Experts say some coal plant operators are not making enough money to justify keeping the plants open.